In the summer of 2015, a research team from Canada's Dalhousie University sailed their boat near an oceanic region called the Flemish Cap, towing an underwater microphone behind them. There, in waters about 500 kilometres east of Newfoundland, the researchers recorded the telltale sounds of an unexpected animal: the northern bottlenose whale. 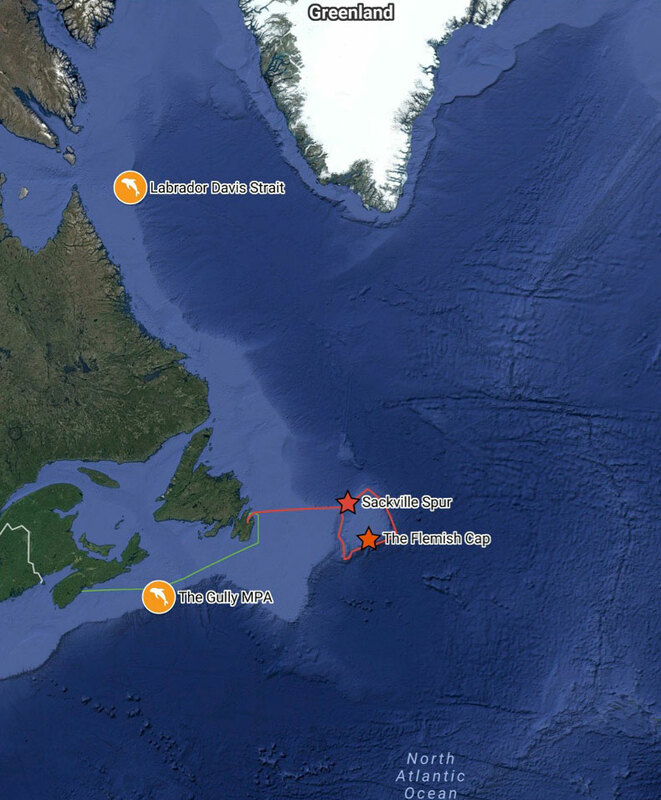 At the time, the team was unable to spot the whales, so this past summer, they went back. "This summer we sailed directly out there, and there they were," Hal Whitehead, whale researcher at Dalhousie, told CBC News. "They popped up around the boat, and once the fog moved off a little bit, we had a lot of whales, at least 50, more like 100 or 200 in the area." Sighting over 100 whales in one spot would be exciting enough on its own, but this encounter was particularly surprising. That's because the northern bottlenose whale population in this area has been estimated at only around 150 individuals, and they are known to hang out closer to Nova Scotia, around a large underwater canyon called The Gully Marine Protected Area, where they hunt for tasty squid in the ocean depths. This new group of whales appears to be a different, previously unknown population. 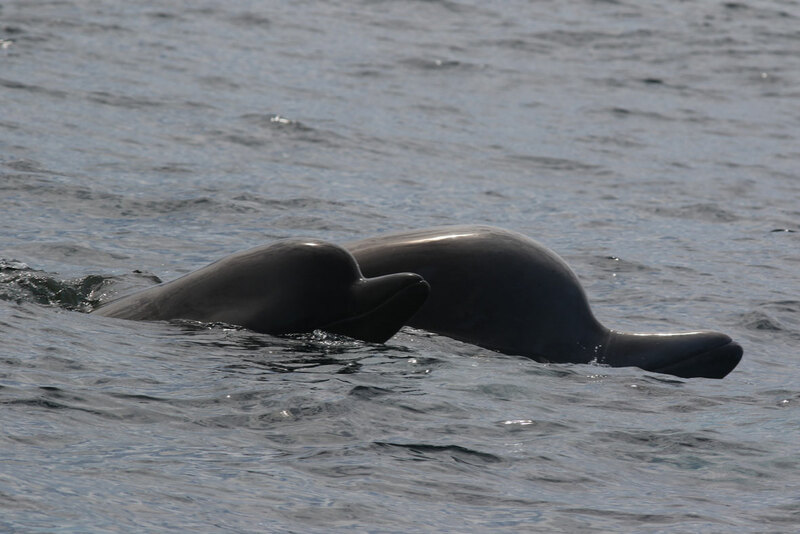 Northern bottlenose whales are somewhat odd-looking members of the beaked whale family. "Some people have described them as a dolphin on steroids," said Laura Feyrer, a student at Dalhousie who is studying these animals. "A cute dolphin face, but they're large and robust, more like killer whale-size almost." As part of her research, Feyrer will compare these new whales to the populations closer to Nova Scotia, which will allow her to determine how closely related they are. The discovery is somewhat bittersweet for the researchers. 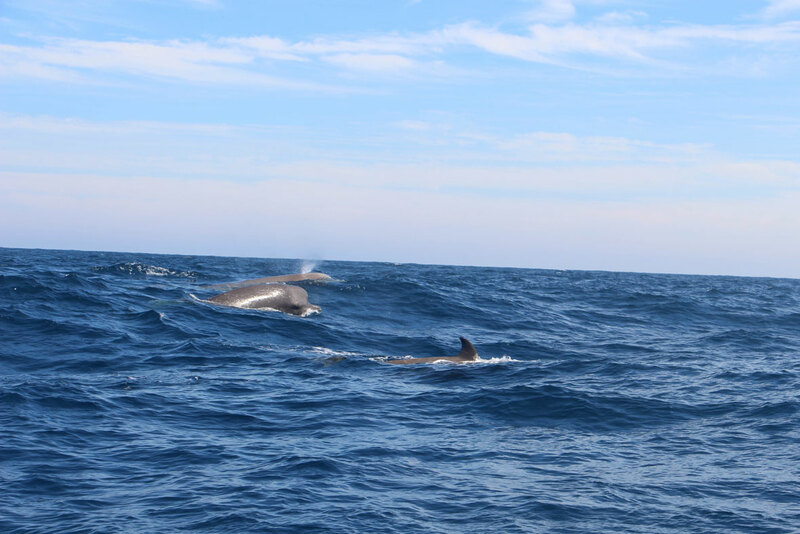 It's no doubt exciting to find an unexpected population of a rare species, but the team's microphones picked up more than whale chatter – they also detected the deep, resonant booming of seismic testing equipment used to detect underwater gas and oil reserves. The prevalence of such noise in the area might mean that these newly found whales are already in trouble. Northern bottlenose whales, like many marine animals, haven't had the easiest time living alongside humans. Estimates suggest that close to 100,000 of these whales cruised the oceans in the early 1800s, but more than a century of intense hunting pressures depleted those numbers by more than half, and the big mammals never fully recovered. Northern bottlenose whales near the Gully Marine Protected Area, where they hunt for tasty squid in the ocean depths. Image via Sierra Club Canada Foundation. These days, we humans are a bit more considerate of the whales. For example, seismic surveys along Canada's eastern coast are usually stopped if the animals are spotted close enough to be physically harmed. But many researchers point out that the noise alone from this kind of activity can have harmful effects. Whales use sound for communication, searching for food and finding their way around their habitat. Loud noises can interrupt that behaviour, and can even result in injury or death, said Whitehead. It may not be as visually dramatic as an oil spill or floating pieces of plastic, but noise pollution is a very real, very serious problem for many ocean species. In addition to underwater seismic surveys, humans make a lot of noise with military sonar, as well as the daily activity of hundreds of boats. "There are currently no accepted international standards regarding noise pollution in our seas," explains Whale and Dolphin Conservation (WDC). This is something scientists and scientific organisations like NOAA are actively trying to remedy, and for the researchers at Dalhousie – and their newly discovered whale neighbours – a fix can't come soon enough. "Without understanding the status of this particular new population – we don't know if they're endangered, we don't if they're part of an existing population," said Feyrer. "I think it's likely that these whales are at risk from this seismic activity." Ever seen a whale without a tail? We hadn't either. Well ... now we've seen everything. A juvenile grey whale has been spotted off the coast of San Diego missing a very important body part.